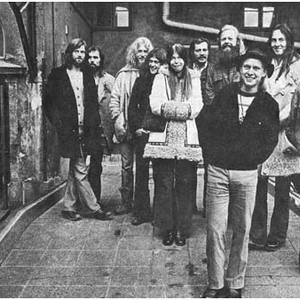 Kebnekajse are a Swedish band that was most active during the 1970s. The band were greatly influenced by both traditional Swedish folk music and African music. Their name is taken from Kebnekaise, the highest mountain in Sweden. They put themselves into the category of progressive rock, but at the time in Sweden, progressiveness was a political concept rather than musical. Kebnekajse are commonly considered to fall into the jazz fusion genre. They put themselves into the category of progressive rock, but at the time in Sweden, progressiveness was a political concept rather than musical. Kebnekajse are commonly considered to fall into the jazz fusion genre. The band uses guitar, violin, congas, drums, and bass, and various other instruments.